Everyone knows that you never ask a woman if she is pregnant. Girls especially know that this is a code you don’t break no matter how obvious it is. Today a colleague at ballet asked me if I was pregnant while patting my stomach. She actually thought it was acceptable to pat my belly and ask if I was expecting a baby. I looked at her in horror. I told her that was a terrible thing to ask someone. “Why?” she seemed surprised that I was upset. “Do I look pregnant?” I responded. Well I am obviously fat enough that she thinks I’m pregnant. The sad thing about that is I have actually lost weight lately. That there was all the encouragement I need to keep purging, exercising and restricting. I find this article skewed and one sided. As a dancer with 22 years of eating disorders behind me, I wish they had represented both sides of the argument. I like this article because it talks about how no one thought she was sick because she never dropped below a size 4. Just because my eating disorder/hypothyroid combo isn’t already enough of a kick in the teeth, life walloped me with arm cellulite. I am a 31 year old vegetarian. I exercise everyday and I am currently in size 26 pants. The epicness of this total mind f**k is unparalleled. *This is not my arm. **This post is a total downer. I have avoided writing lately for the reason that this is all that will come out. It has been a good start to the day. 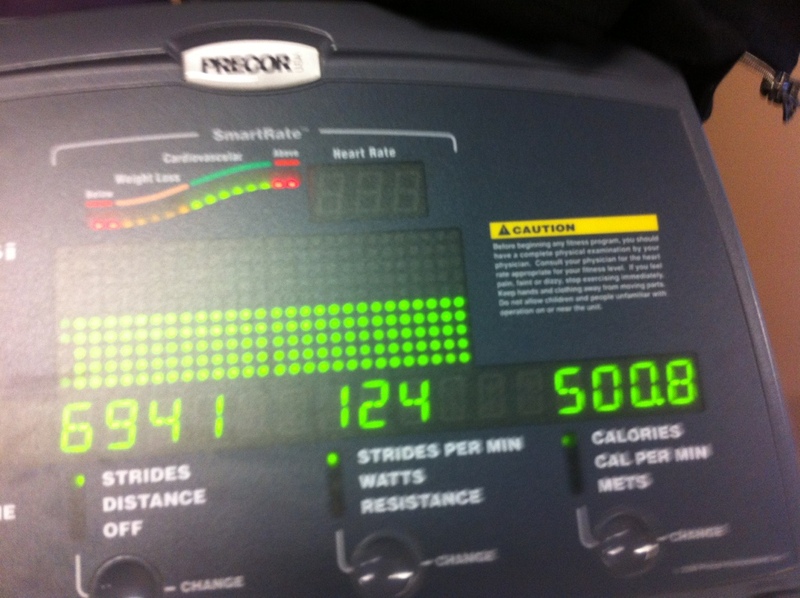 Still making up for my binge on Sunday with an hour on the elliptical yesterday and today.